Nathan Wyatt Plumbing & Heating Ltd - Central Heating Engineer, Plumber based in Crawley, West Sussex. 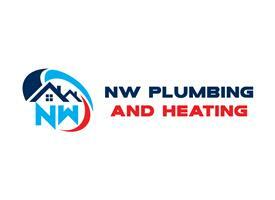 NW Plumbing and Heating are a local family run business. where we pride ourselves on bringing you a professional, reliable and efficient service aiming to meet all our customers needs, and building a good working relationship with the customer in the process. Specialising in all aspects of heating, from boiler services and maintenance work to full heating systems. Other areas we specialise in are underfloor heating where we can provide both design and installation. Power flushing to clean and protect your heating system, and Smart controls such as Nest thermostats and weather compensation controls to enhance your heating systems efficiency. We are proud to say we are accredited installers of both Vaillaint and Viessmann boilers, and can therefore offer extended manufacturers warranty's on there products. We also provide heating solutions for the Swimming pool industry. From service and repair work to new boilers or heat pumps.